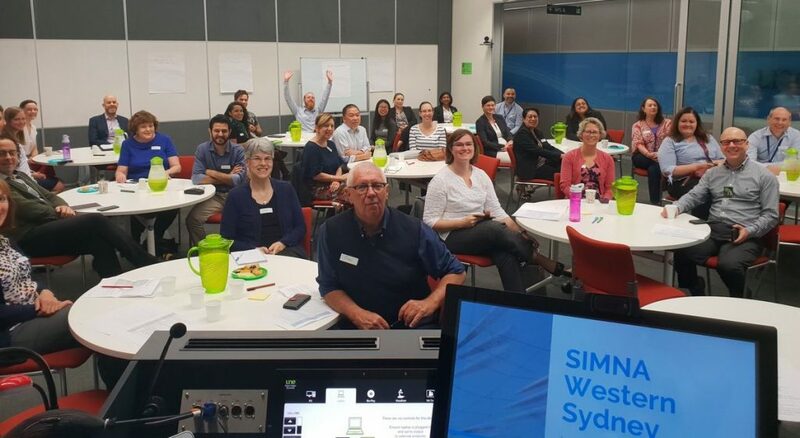 On 12 November 2018, the SIMNA Western Sydney Committee was launched at the University of New England Sydney (UNE Sydney) campus in Parramatta. 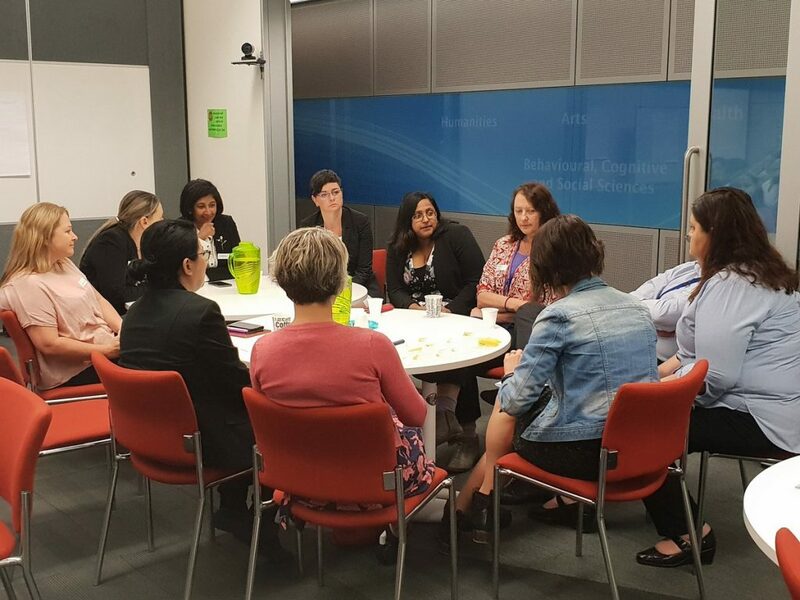 An energetic crowd of professionals from a range of organisations and sectors came together to support an accessible networking and learning space for those living and working in Western Sydney. 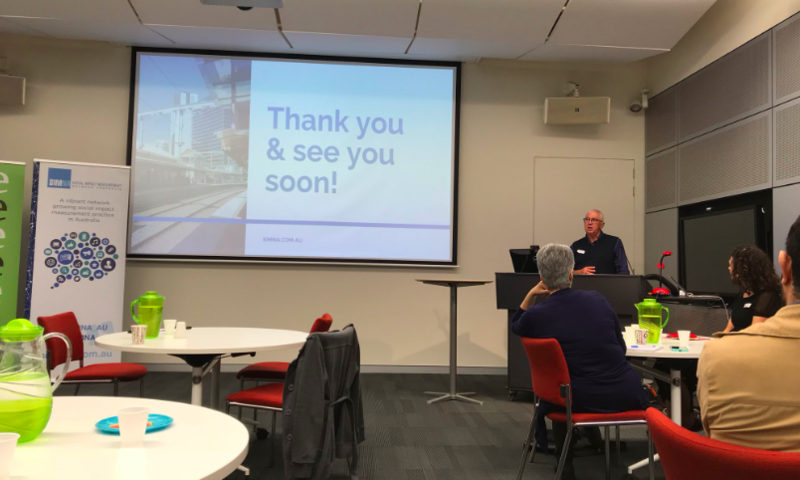 The Launch began with an official welcome from Rob Field, Director of the UNE Sydney in Parramatta and the session was facilitated by John Kirkman, CEO of I.C.E. 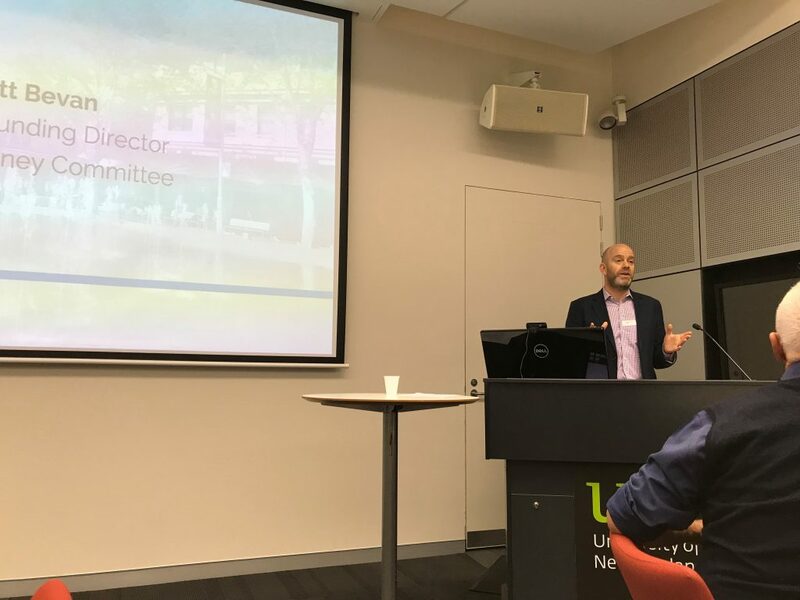 Both emphasised the need for spaces like SIMNA Western Sydney in helping individuals and organisations consider the social impact that their activities have on the wider community. A presentation was given by Matt Bevan, founding director and member of SIMNA NSW. Matt spoke about the history of SIMNA and the importance of the network in building the capacity of professionals working in the social impact measurement space. Matt emphasised that SIMNA is for professionals at all stages of the social impact journey, from those who are not confident in the practice to those who consider themselves at an expert level. The crowd was then privileged to receive a Welcome to Country from Uncle Greg Simms. Uncle Greg spoke about sharing stories as a way of learning and respecting each other, which is what SIMNA Western Sydney aims to achieve. 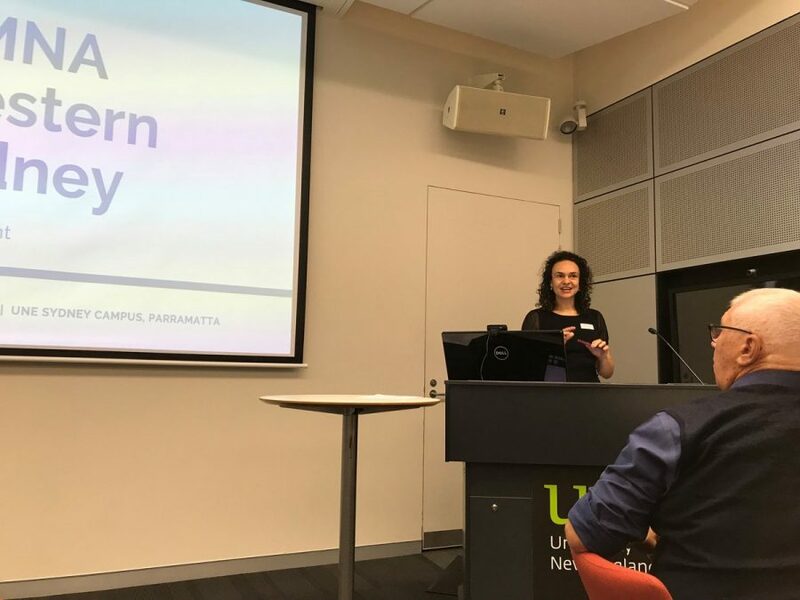 Christina Jarron, Committee member for SIMNA Western Sydney, also spoke about her personal experience with SIMNA NSW and how the support of the network has helped her through times in her career where she has needed support from like-minded individuals. The audience was also introduced to the other members of SIMNA Western Sydney Committee: Natalie Jurisic (Redkite), Amy Lawton (WESTIR Limited), Daphne Drew (The Smith Family) and Talia Stump (Multicultural NSW). 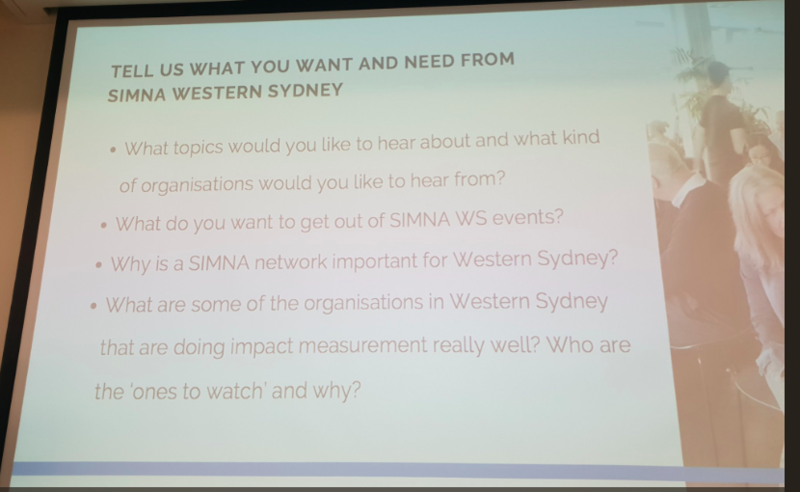 Those attending the session were then asked to split into groups and provide some feedback on what they would like to see SIMNA Western Sydney provide for them. There were a lot of suggestions and insights that came out the small group discussions which were summarised by John at the end of the session. The SIMNA Western Sydney Committee would like to thank everyone who came and participated in the Launch. 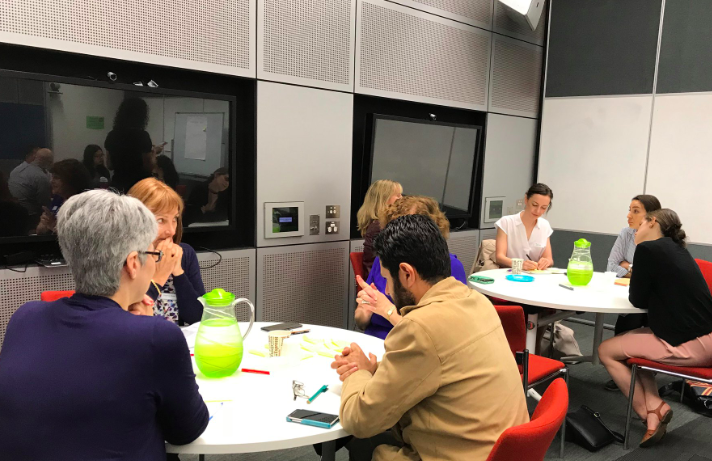 The Launch was a good opportunity to help start conversations and connections between professionals in Western Sydney and get them excited about the work being done around social impact measurement. We look forward to organising more engaging and valuable events for the region in 2019!